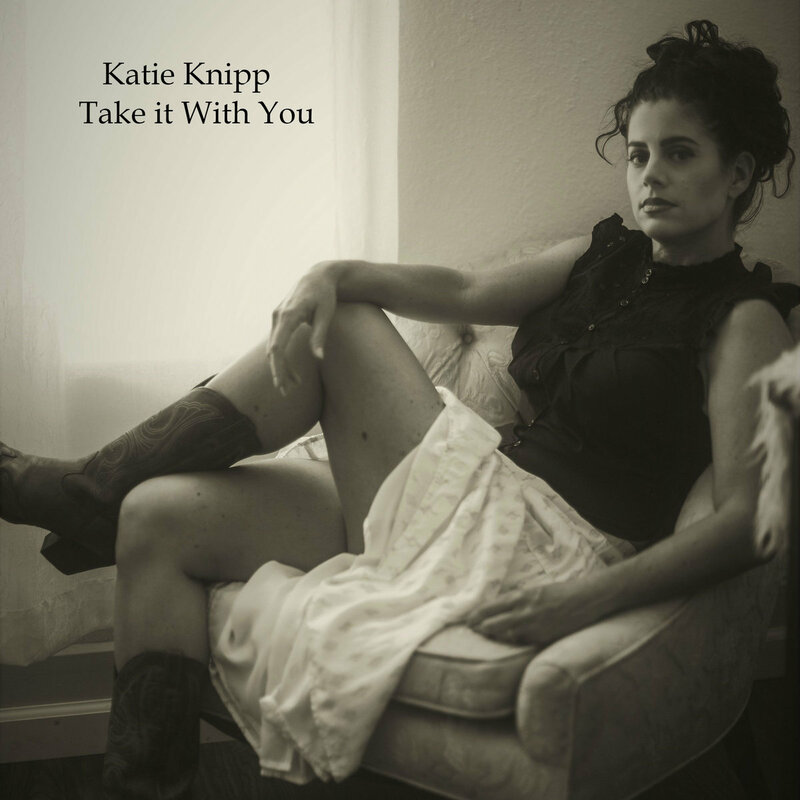 Californian Katie Knipp has been plying her blues flavoured trade for about 20 years and has just released her fifth album; the good news is that it’s bluesier than ever. Although absent from the scene for a while…for very good reasons: Katie has been rather busy with two young children that meant devoting time to them was paramount, and rightly so. She did fit in some song writing between all of the other duties and then found the time to assemble a band, rather than the solo excursions I am more familiar with, and record this latest work called Take It With You. Crossing boundaries between blues, jazz, Americana and rock, there is never a dull moment with Katie. She has the ability to play electric and dobro guitars with equal skill and, importantly, a genuine feel for the right notes and the right tone. Her singing voice is so powerful, I will admit it took a while for me to attune to it; once you get over the inevitable (inaccurate) Joplin comparisons, it has a depth and passion that gets to you. Last Man Out has tender acoustic picking behind her dulcet tones before a gentle crash cymbal adds atmosphere; when the slide cuts in it leaves me wanting, but on the whole this is a lovely county-ish ballad. Slide guitar and simple drums back the slinky blues of Come Back, until a rapid paced section keeps the interest as it quietens and cuts in when you’re not expecting it. An infectious and tasty drum and bass introduces I Don’t Sing For You and subtle piano washes through it…the vocal is exceptional on this one and the guitar patterns are a delight and a clever solo rounds it all off. Slide features brilliantly again on Ya Make It Make So hard To Sing The Blues…proof that the blues isn’t always sad as Katie celebrates positive feelings. The guitar throughout has a lovely tone. Picked semi-acoustic, I think, begins the plaintive countrified blues of Letters before slide again colours the song with that back porch feel. The slide to the fade is brilliant. Get Outta My Dream is a gospel infused slice of rocking blues as Katie slots in piano, organ as well as guitar and proves she can do a decent keyboard solo too. The lyrics are worth listening to as references to elephants in a liquor store bring a smile. The familiar hi-hat play introduces the blurred blues and jazz of Metro In Paris. The brushed drums, piano and sultry vocals take me back to a certain trip to Paris I made a few years ago…if music can paint pictures that effectively, it has to be good! Harmonica then slide guitar over a rolling drumbeat means I love Santa Cruz Blues from the off…it has a familiar structure but is chock full of fun in the instrumentation and the lyrics. The simple slide solo is just right too. The walking blues of the piano led, and horned up Another Round takes you back to the 50s and, with a beer and a cigarette in hand, I am in New Orleans right now. Electric piano echoes as Katie puts heart and soul into I Will Stick Around…a straightforward love song but with a substantial depth courtesy of the best electric guitar solo here and the alternating complexity and simplicity…lovely. The challenge for me here was that the review copy has a different running order and all the wrong titles! So, forgive me if I get one or two wrong…for example, Last Man Out is shown as Ya Make It Hard…hopefully I got them sorted, if not in the right order! This took me a couple of listens before it really sank in and I realised how Katie’s voice has such a range that, at first, didn’t seem to always fit…now I adore the way she uses her range and unique inflections to effectively communicate the messages; the way she and the band have combined to bring together differing styles and genres, mixed them up and turned them into a really enjoyable album of passion and care is more than welcome.